and a few good men." That's the Avon motto, and it's true! Most Avon Representatives are women, and most Avon products are for women. However, there are a few outstanding men who work in partnership with their wives to have successful Avon businesses, and a few others who stand alone as male Avon representatives. There are more than a few Avon products for men, though, and for this Terrific Tuesday I want to feature a couple of basics that are inexpensive and designed just for him. 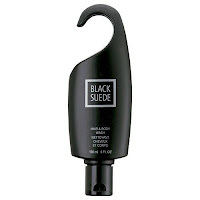 Hair & Body Wash: Available in a "hook on the shower head" type bottle are the classic men's favorites - Black Suede, Black Suede Essential, Black Suede Sport, and Wild Country. Available in a "stand on its head" bottle are Alpha, Exploration, Instinct, Mesmerize, Attraction, and Luck. TO USE • To Use as a Body Cleanser: Squeeze a small amount onto a wet washcloth or sponge or directly into palm of hand. Lather, then rinse. • To Shampoo hair: Wet hair and lather. Rinse thoroughly. Repeat if desired. After Shave Conditioner: Available in all the same scents as the Hair & Body Wash.
Don't ditch the razor; pursue better post-op care. Calms and moisturizes skin for an allover cool effect. 3.4 fl. oz. NOTES • Woody notes highlighted by a leather accord. 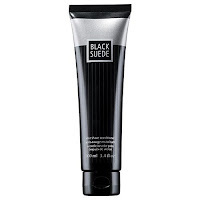 TO USE • Smooth evenly over face after shaving to soothe skin and protect against dryness.